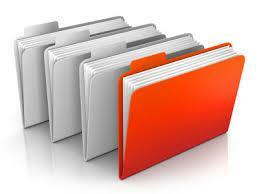 The Assignment Category is the categorization of assignments that have the same nature. For example, you can create assignment category for Home Work. In this case, every time you create a homework assignment you will create it under Home Work category. Each Assignment Category has a weight that determines the category impact on the course grading. For instance, if we have three assignments categories; one for homework with weight 1, one for classwork with weight 2 and one for quizzes with weight 3 then any assignment created under quizzes category will have 3 times the impact of the assignment created under homework category. Similarly, any assignment created under classwork category will have double the impact of the assignment created under homework category. Therefore, assuming we have three assignments with grade 10 each. One of these assignments is under the homework category and another one under classwork and the last one under quizzes. With the Assignment Category feature, you can create as many assignments categories as you want. Each assignment category will contain the assignments that you need to grade and each assignment category will have weight to determine the ratio for graded assignments under this category. You can also decide whether this category will contribute to the total final grade. If you choose for a category not to contribute to the final grade, then any assignments created under this category will not have any impact on the course grading. You can also decide whether the class teacher can create assignments under a certain category. The default is not to allow class teachers to create non-standard assignments under the assignment category and only the content teachers will be allowed to create standard assignments under the category. However you still can allow class teachers to create non-standard assignments under any category. This gives the flexibility to the teachers to create their own assignments and grade them with an impact determined by the weight predefined for the assignment category.